Looking for an easy way to promote, present or demonstrate how easy it is to get started with JBoss BPM and integration products? Look no further as we have pulled together this workshop so that you can construct an evening or half day session of learning around JBoss BPM Suite and JBoss Fuse. 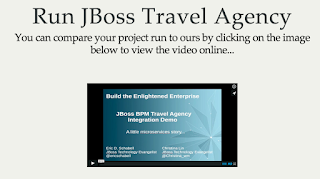 The workshop outlines how to work with integration between a JBoss BPM project for travel agency bookings that was using integration through standard Java web services. We use this project to highlight how you can build a rule, part of the business process and then migrate one of the existing web services to a JBoss Fuse based microservices. migration story in a workshop! You only need to be able to read a PDF to get started, have a browser to view html based workshop slides that lead you through the building phases, Java 1.7, Maven 3.2 or higher and the products JBoss BPM Suite, JBoss Fuse and JBoss EAP. This workshop was put together by myself and Christina Lin, who is the JBoss Technology Evangelist for JBoss Fuse and A-MQ. 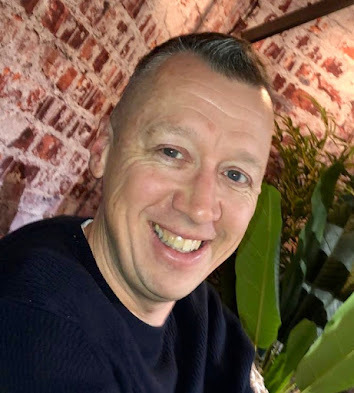 This workshop will guide you through the creation of a customer care project containing several BPM processes that integrate seamlessly with JBoss Fuse, Camel routes, provide full BAM reporting abilities and manage it all wtih Fuse Fabric. Get ready for a few hours of fun and adventure as you kick the tires, because after all, a Camel has no purpose until there is a process. 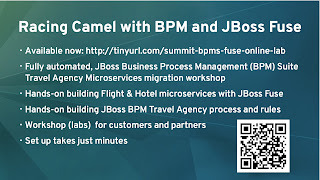 This should give you a workshop hosted under a directory summit-racing-camel-with-jboss-bpm-fuse-master. 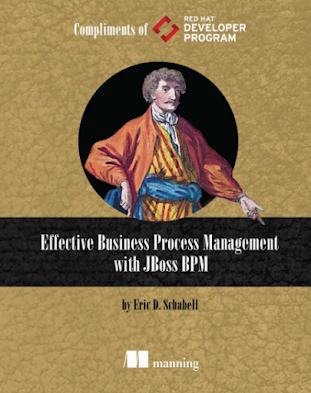 You can also obtain the JBoss EAP and JBoss BPM Suite versions at their respective JBoss.org product pages (linked above) with a developer download. Click to see video of the final results! The first step is to introduce the topics around rules, event and processes, then lead into integration of the JBoss BPM Travel Agency with web services that now will be migrated to JBoss Fuse microservices. 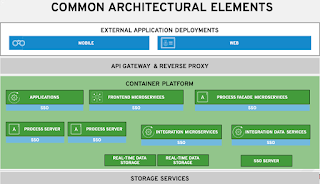 This will have them run the projects installation and point them to the initial workshop slides where they start building rules, a process and lead into microservice development. We hope you can think of this as your JBoss integration workshop in a can, where you will be able to amaze friends, colleagues and family with your ability to lead them through a JBoss BPM project's microservices migration story.